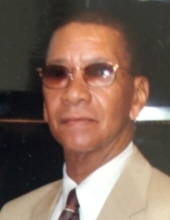 Lowe, Charles Edward, 79, of Louisville died Saturday December 15, 2018 at the Hosparus Inpatient Care Unit of Louisville. He was a retired employee of General Electric Corp., a former employee of LG&E and a Baptist by Faith. He is survived by two sisters Ann Pitts (James) and Laura Flowers; and nieces; nephews and cousins. His funeral service will be held 1:00 p.m. Thursday December 20, 2018 at Friendship Baptist Church 2327 Osage Ave. with burial in Green Meadows Cemetery. Visitation will be 11:00 a.m. to 1:00 p.m. Thursday at the church. To send flowers or a remembrance gift to the family of Charles Edward Lowe, please visit our Tribute Store. "Email Address" would like to share the life celebration of Charles Edward Lowe. Click on the "link" to go to share a favorite memory or leave a condolence message for the family.